Vasco: Churchill Brothers defeated Indian Arrows 2-0 to register their third successive win in the Hero I-league, in Vasco, Goa on Monday. Churchill Brothers dominated the proceedings throughout but were left frustrated by the rival defenders till the 88th minute when Dawda Ceesay (88th) found the back of the net for the hosts. 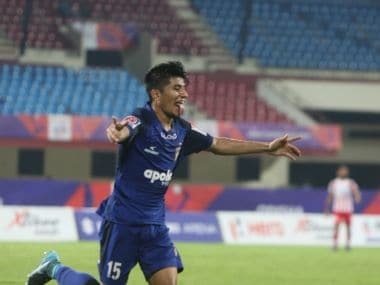 Substitute Israil Gurung (90+2 minutes) then scored another in injury time to take Churchill's tally to 10 points from nine matches. Even though both the teams were on same points, Churchill are above Indian Arrows at the seventh place on account of head-to-head count. Churchill, looking for their third successive win, started on attacking note as they kept on probing and Mechac Koffi found the net in the early part of the match off a through pass from PM Britto but the goal was disallowed by the assistant referee. Koffi and Ceesay had their chances to put Churchill ahead but could not direct their shots on target. Indian Arrows came into their own in the last 10 minutes of the first half with quick counter moves but could not get past defender Monday. 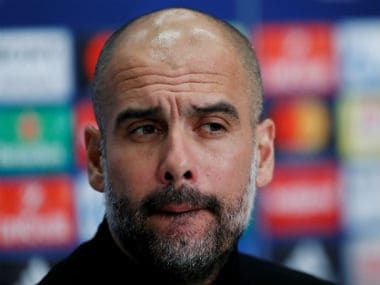 The second half was fought in similar fashion with Churchill doing most of the attacking but lacked the cutting edge to get past rival defenders. Frustration grew for the home as Indian Arrows came up with couple counter moves and nearly found the net in the 77th minute when Rahul Konnoly squeezed past between two rival defenders before unleashing a shot which keeper James Kitham did well to put the ball out of danger. Churchill made desperate attempts in the dying minutes in search of the elusive goal and finally managed to score in the 88th minute after Arrows citadel survived dangerously with Kalu's attempt hitting the post. Mechac Koffi, who got the ball inside the box took a shot at the goal which deflected defender Anwar Ali and went to Dawda Cessay, who after getting better of a rival defender found the net with a deft placement. 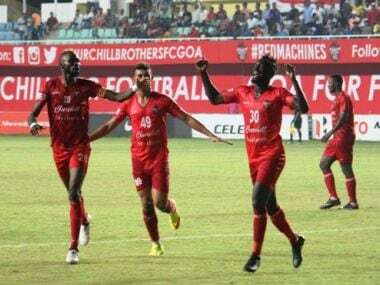 Substitute Gurung doubled the lead in the stoppage time from a Koffi free kick to give Churchill their third win and remain above the relegation zone.